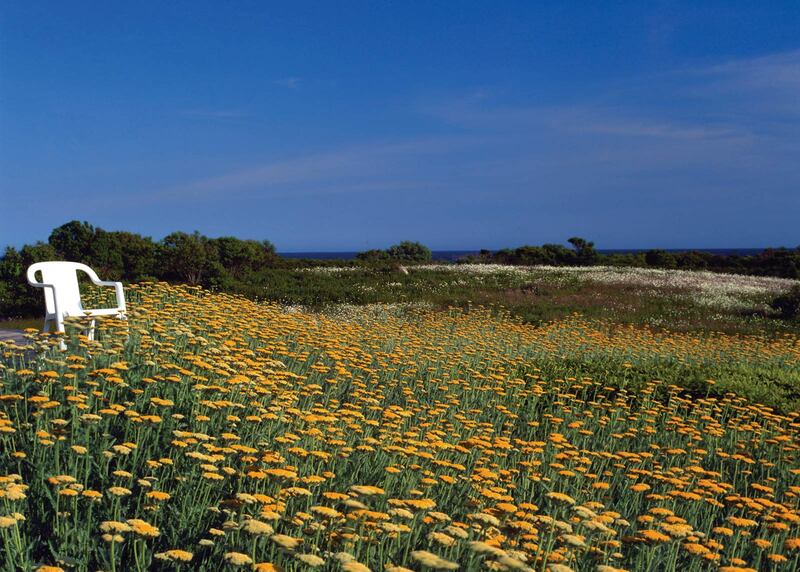 Nature sets the theme for this rolling, oceanside garden in Martha’s Vineyard. 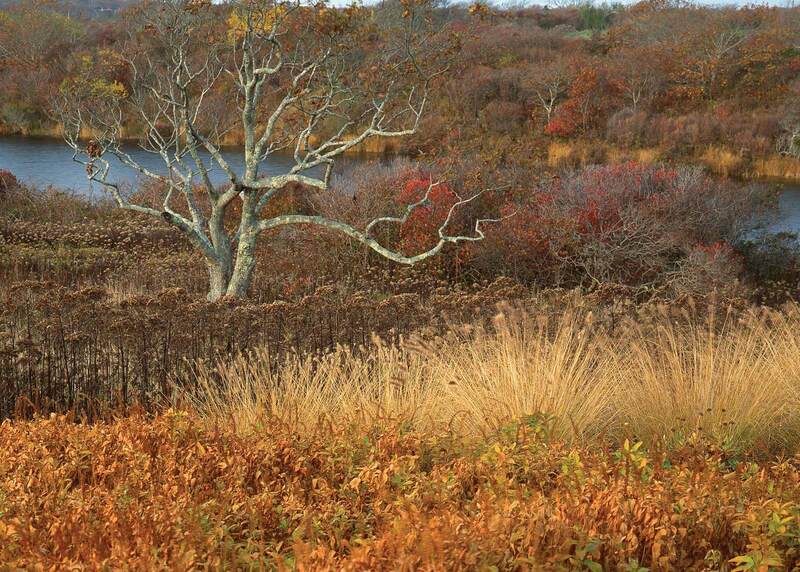 A natural meadow extends from the house to the water’s edge and subtle topography creates foreground views that compete for attention. Occasional glimpses of meandering inlets complete a compelling image of land meeting water. The garden, made up of layered masses of perennials, occupies the space immediately around the house and seems to flow naturally into the meadow. The plant palette was carefully selected for seaside conditions: plants are resistant to salt spray and heavy ocean winds. A mown grass path, invisible when viewed from the house, separates the perennial garden from the meadow, ensuring the meadow will not invade the garden and vice versa. Strategically placed boulders in the foreground tie the space visually to the ocean’s rocky shoreline. 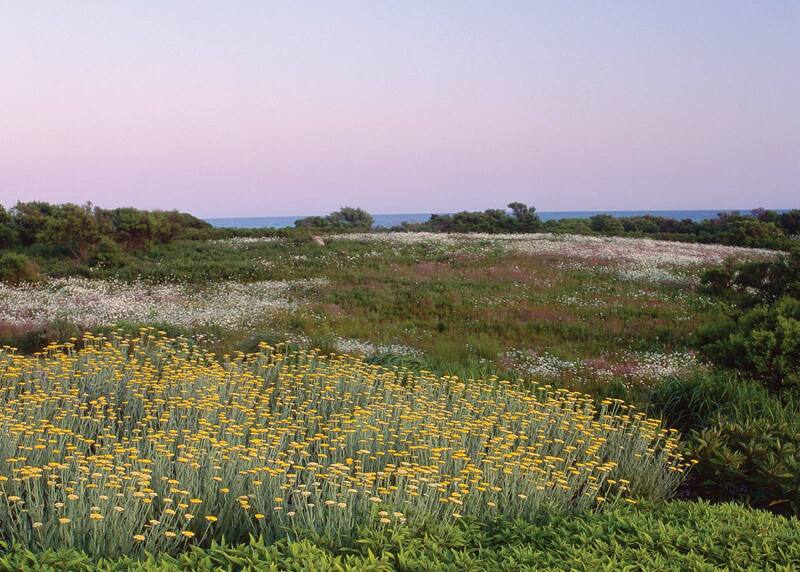 The garden is designed to gently transition through a series of views that progress with increasing simplicity: from the intricate perennial garden to the natural seaside meadow to the beach and ocean in the distance.